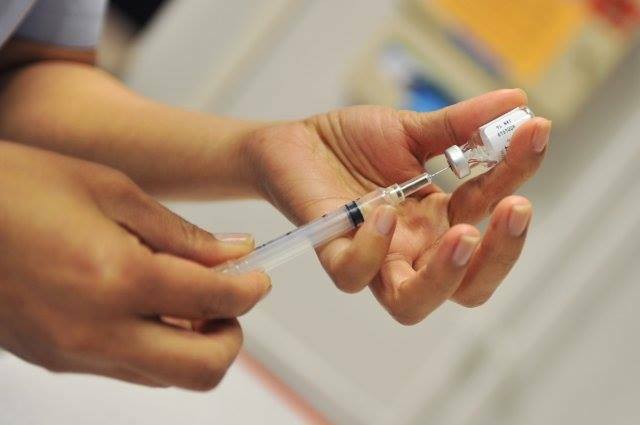 SEMBACH KASERNE, Germany – Regional Health Command Europe officials are recommending that 6-12 month old children should be immunized with the measles, mumps and rubella vaccine, as a result of an ongoing measles outbreak in several European countries. This dose is in addition to the two doses children normally receive, starting after their first birthday. The vaccine will now be a part of the routine 6-month-old visit with their pediatrician and is encouraged for all children aged 6-12 months — especially those in day care. Measles is an extremely contagious virus, with essentially 100 percent of exposed susceptible individuals becoming infected. The virus can linger in the air of a room or transportation vehicle for up to two hours, according to Col. Rodney Coldren, the Chief of Epidemiology and Disease Surveillance for Public Health Command Europe. The U.S. Centers for Disease Control and Prevention issued a travel alert for Belgium, Italy and Germany April 17, recommending that all travelers in that age group receive the vaccine. This dose does not replace either of the two doses required after 12 months of age for long-term immunity. Adults and children not vaccinated for measles could be at risk for contracting the illness due to the outbreak. The most seriously affected countries are Italy and Romania. However, France, Germany, Poland, Switzerland, Ukraine are seeing a significant number of cases and Austria, Belgium, Bulgaria, Czech Republic, Iceland, Hungary, Portugal, Spain, and Sweden have experienced a few cases. Measles can be a very serious — even fatal — illness and is especially severe in babies and elderly persons, according to Coldren. For more information on protecting your infant with an early dose of measles vaccine, or assistance reviewing family members’ immunization status, please contact your Primary Care team.